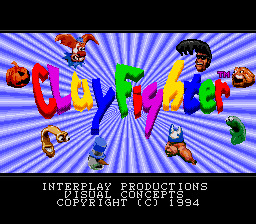 A group of fighters made out of clay that are in wacky costumes want to become the king or queen of the circus. Now you take the role of one of these strange characters and try to fight your way to be the best. Being the king of the circus must have its perks! Beat down your clay opponent until they are too weak to continue and you are declared victorious. Pick from a variety of characters and punch, kick and shoot your way to be the circus king! When using Blob's Buzz Saw attack, keep pressing toward your opponent even if he blocks it. This move will keep hitting him several times.